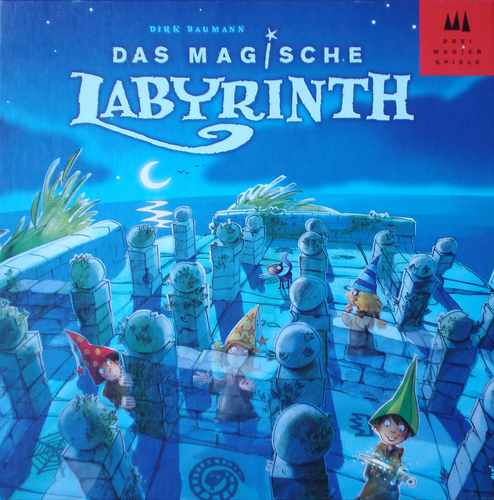 The little magician apprentices have lost some objects in the magic maze. Now they try to collect them before the Master notices anything. However, in the maze the little magicians always bump against invisible walls. So they have to make their way through the maze by means of a good memory and lots of skill. You have to move a character through the board but you're trying to do so with a labyrinth below the first board. The character is joined with a magnetic ball so if you hit a wall the ball drops and you have to start again. The new R’lyeh Rising mode of gameplay features two stages as you first navigate the Dark Waters track and then assemble the Amulet of R’lyeh to stop one of three dangerous new Ancient Ones from waking and devouring the world. Engage the newly introduced mission tokens for hard-won rewards and fend off the dogged Deep One Legion as your investigators move to unknown dangers on the Pacific Adventure cards. 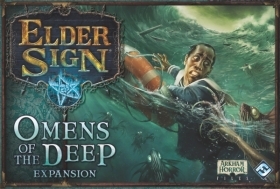 The depths of the Pacific are filled with fresh terrors that only the bravest can attempt to seal with the power of the Elder Signs in the Omens of the Deep expansion for Elder Sign! Shogun is set in the Sengoku period (approx 1467-1573) which ends with the inception of the well-known Tokugawa Shogunate. Japan during the Sengoku or "Warring States" Period: each player assumes the role of a great Daimyo with all his troops. Each Daimyo has the same 10 possible actions to develop his kingdom and secure points. To do so he must deploy his armies with great skill. Each round, the players decide which of the actions are to be played out and in which of their provinces. If battle ensues between opposing armies, the unique Cubetower plays the leading role. The troops from both sides are thrown in together and the cubes that fall out at the bottom show who has won immediately. Owning provinces, temples, theaters, and castles means points when scores are tallied. 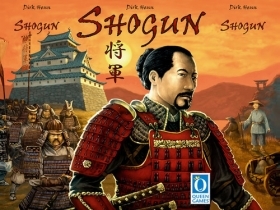 Whichever Daimyo has the highest number of points after the second tally becomes – SHOGUN!